Tuition for camp is $250 per student. Financial assistance available for qualifying families. 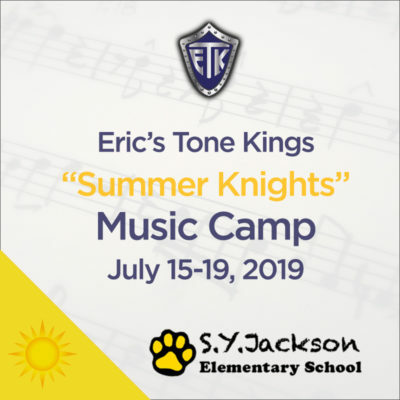 The Summer Knights Music Camp is a challenging, high-quality and highly focused music camp designed to educate and elevate intermediate to advanced musicians from grades 4-12. 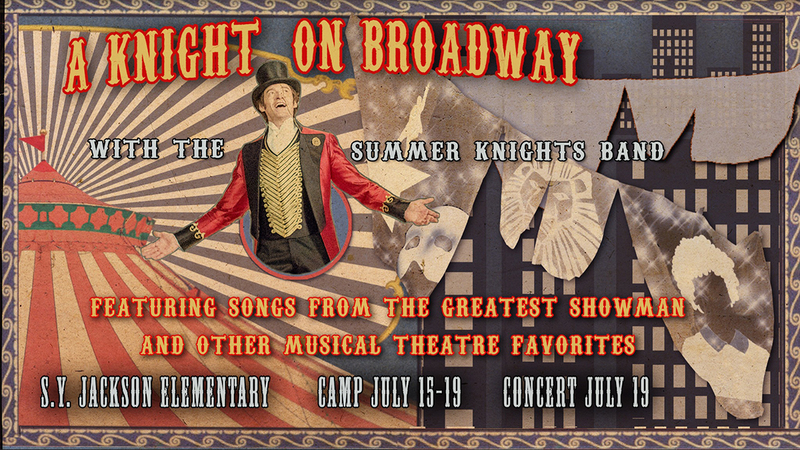 This year’s camp features a compilation including some of the most beloved songs of Broadway and Musical theater. (click here for listening examples). The Summer Knights will begin each day with a light physical workout to get them breathing and moving followed by breath control, warm up techniques and “chop” building exercises. Their day will consist of large group rehearsals, sectionals, individual practice sessions and a variety of fun activities including choir, percussion, optional water games and more. Nutritious snacks and drinks will be provided throughout the day. Students will need to bring a sack lunch. *Includes a Summer Knights T-shirt, over 45 hours of high-quality music instruction, supervised activities, drinks, refreshments, dress rehearsal dinner and much more. *Camp Scholarships Available for qualifying families.